The look on his face when rescuers showed him his new home is so incredible. 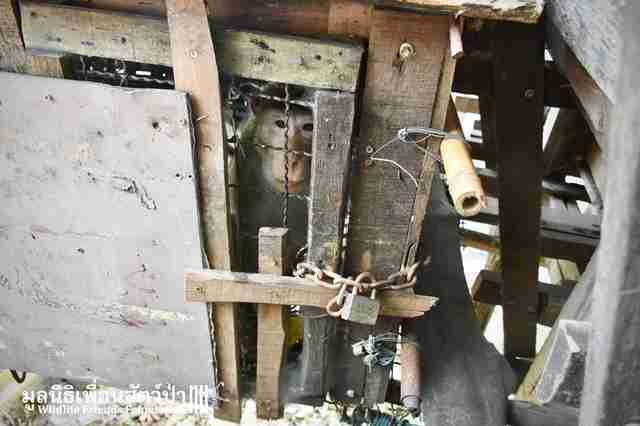 When rescuers went to free the monkey from his wooden cage, they asked the owner for the key to the rusted padlock. But the owner didn’t know where the key was. 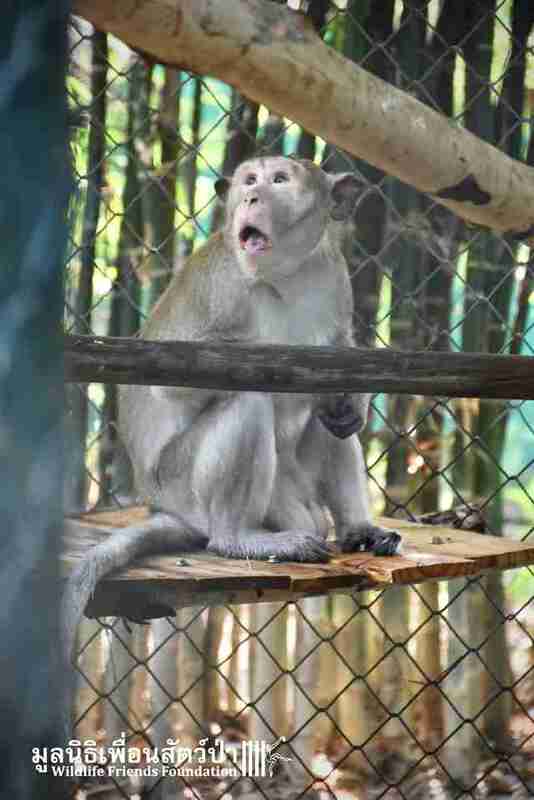 The monkey, he explained, had been locked inside the cage for the last seven years. 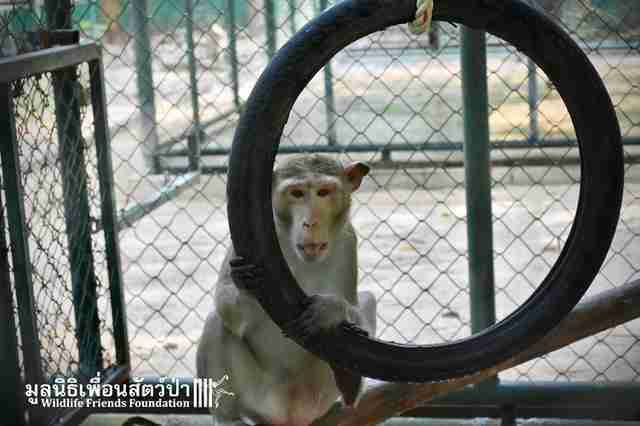 Last week, the team at Wildlife Friends Foundation Thailand (WFFT) got a call from a man living in Min Buri, Thailand. 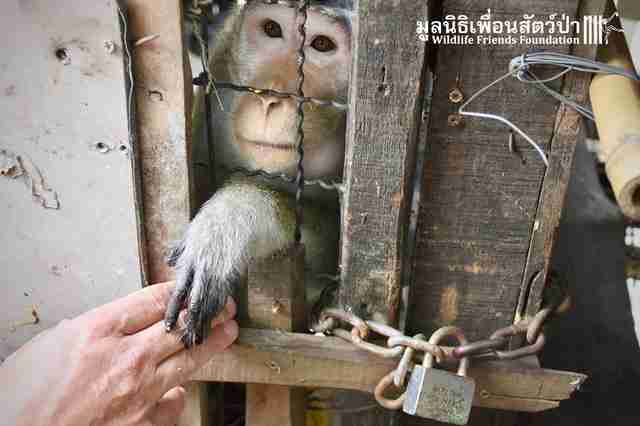 The man had seen an ad on TV about WFFT’s rescue work, and he wanted to surrender an 8-year-old macaque he’d been keeping as a pet. While it’s not clear how the owner got the monkey, who's being called George, in the first place, it’s easy to guess what happened — people would have stolen George from his mother when he was just a tiny baby, then sold him in a wildlife market. Sadly, this scenario plays out all the time in Thailand and other countries in Southeast Asia. George’s owner initially allowed George to run free, but the baby macaque quickly became too difficult to handle. So the owner built a wooden cage, which was only about 27 inches by 39 inches, and locked George inside it. The owner, as well as the neighbors, fed George corn, banana and leftover food through the bars of the cage, and gave him the occasional sip of water. 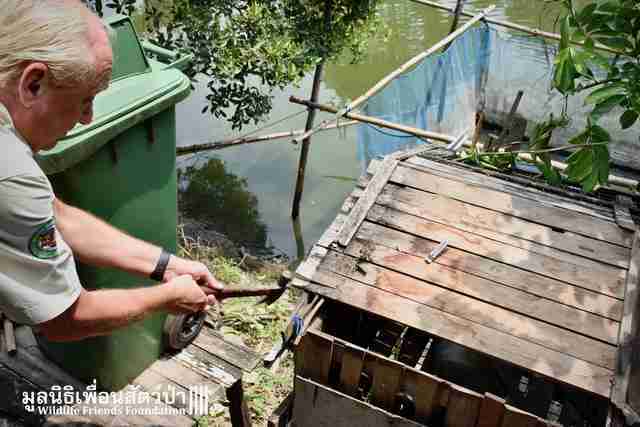 Since the owner no longer had the key to the padlock, the rescue team had to break open the top of George’s cage and pull him out through the opening they’d created. After George had been safely removed, the rescue team destroyed the cage to make sure no other animal would ever be placed in it. 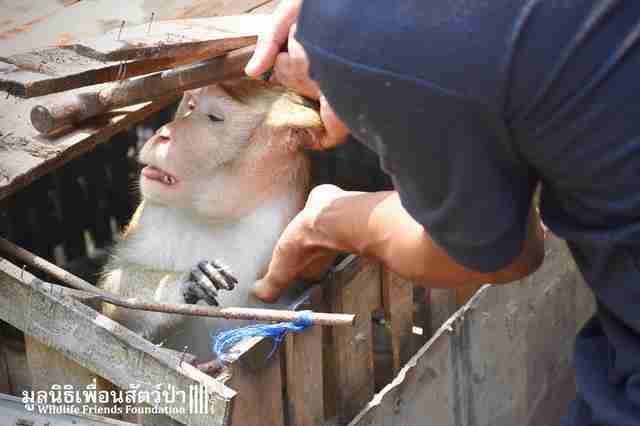 The rescue team had sedated George so he’d be relaxed as they moved him to the WFFT rescue center. But George started to wake up from the sedation on the way there, and he appeared content looking out from his transport crate. “He loved the scenery, and he was interested in everything,” Edwin Wiek, founder of WFFT, told The Dodo. Once they arrived at the rescue center, George went straight into a quarantine enclosure, which was huge compared to his old cage. Inside was a bowl of fresh water — George immediately went to it, and started spooning water into his mouth. He’d never had easy access to water before, according to Wiek. George doesn’t appear to have any serious medical issues, but at the same time, his health isn’t great due to years of poor diet and lack of exercise. The WFFT team will work hard to get George healthy again, and once he finishes his quarantine period, they’ll move him to a bigger enclosure. So far, George is doing extremely well, and he’s become very friendly with the caretakers at WFFT. “He loves to play with me when I visit him, and he can’t get enough of the variety of food we present him with,” Wiek said. Since George had become so used to people while in captivity, it’s not certain whether he’ll be able to be released back into the wild again. 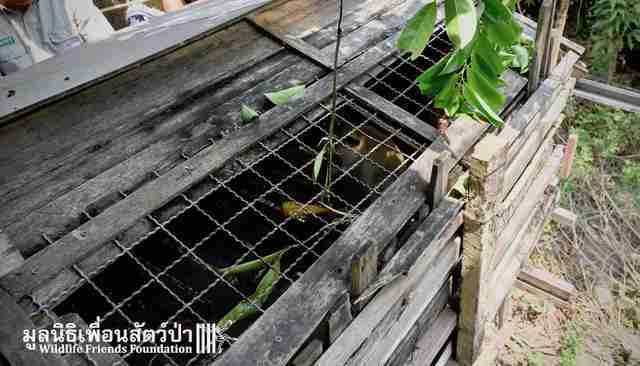 But the team at WFFT will make sure he will live a healthy and happy life, and that he’ll never be locked up in a tiny cage ever again. 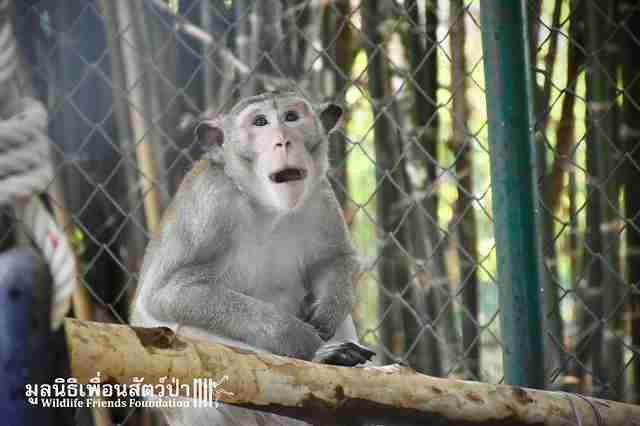 To help rescue other macaques like George, as well as elephants, bears, slow lorises and other wild animals, you can make a donation to WFFT.